This amazing custom home is located in The Pueblo's at Alameda Ranch, a gated community, on a lot located at the end of a cul-de-sac. 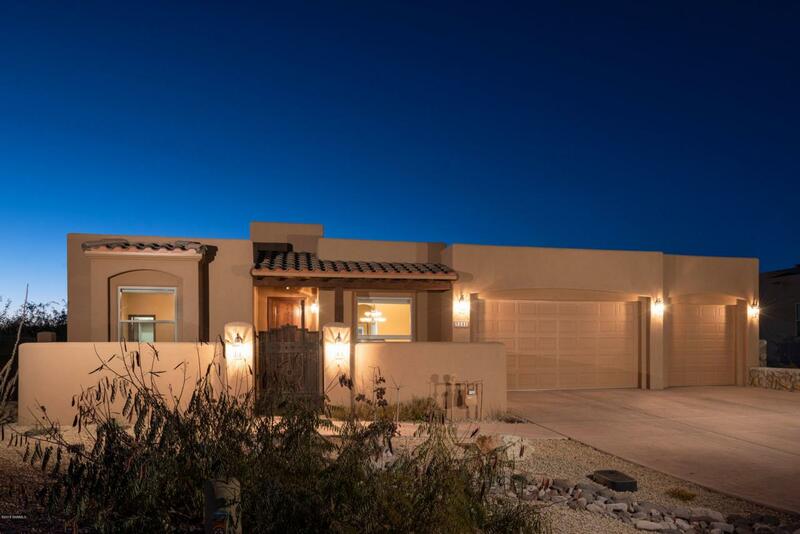 Featuring a spectacular view of the Organ Mountains, this home includes four bedrooms, 2 1/2 baths, and a large, finished three car garage. You can relax in a large living area with a cozy fire place and enjoy entertaining in the kitchen which includes features such as beautiful granite counter tops, stainless steel appliances, stunning wood cabinets, a breakfast bar, and spacious pantry. The master bathroom includes a jet tub, tile shower, walk in closet, and double sinks with decorative mirrors. This is a low maintenance, zero-scaped lot with an irrigation system. In the summer, you can take advantage of access to the gated community pool. Call today to set an appointment to view this amazing property! Listing provided courtesy of Lance Horton of Exit Realty Horizons: (575) 532-5678. All listing information was provided by Southern New Mexico Multiple Listing Service.